Alpha Medical Transport, Inc. provides nonemergency medical transportation for those who have regular doctor appointments or recurring treatment visits at an outpatient facility. Transportation appointments must be scheduled at least 24 hours in advance. Blood banks, hospitals, and medical facilities use our courier services to deliver their essential health supplies to a specific destination. We have more than ten years of experience, always transporting the goods under our care in the shortest amount of time with utmost care. 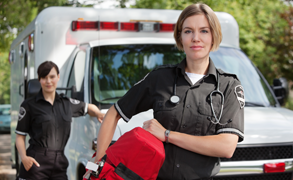 Contact us to arrange for our superior medical transport services. Alpha Medical Transit, Inc. (AMT) is proud to be the leading provider of medical transportation and courier services in Southwest Michigan. We provide prompt and personable service while maintaining a level of quality that has kept us in the forefront of the industry for the better part of a decade. We have relationships with all the major insurance companies, and while we like to work with various insurance brokers, we understand that sometimes you have needs outside of the scope of your insurance company's capabilities. Therefore, we offer reasonable alternatives to help accommodate your transportation needs. Call our friendly staff today, and we would be happy to discuss which of our many options would best fit your needs.